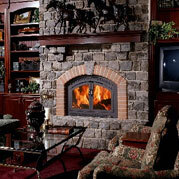 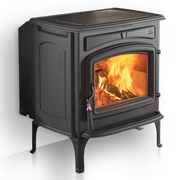 Dutchwest non-catalytic Wood Stoves earn high marks with the EPA for their outstanding emissions performance. 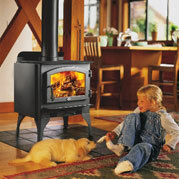 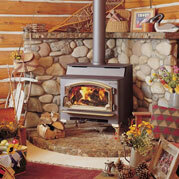 In fact, Dutchwest stoves are among the cleanest in the wood stove industry with emissions of less than 1.5 grams/hr.! 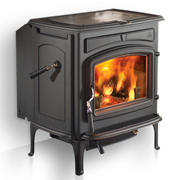 Combine that with classic styling, sturdy cast iron construction, remarkable state-of-the-art features and efficiency, and you have a wood stove that can’t be beat! 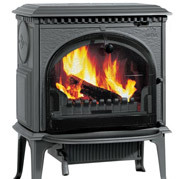 Three sizes are available (small, medium and large) to suit any heating need. 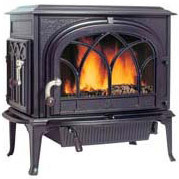 Large glass front doors allow for maximum viewing and an optional convection air blower augments the superior radiant heating ability of cast iron construction to deliver heat throughout your home.